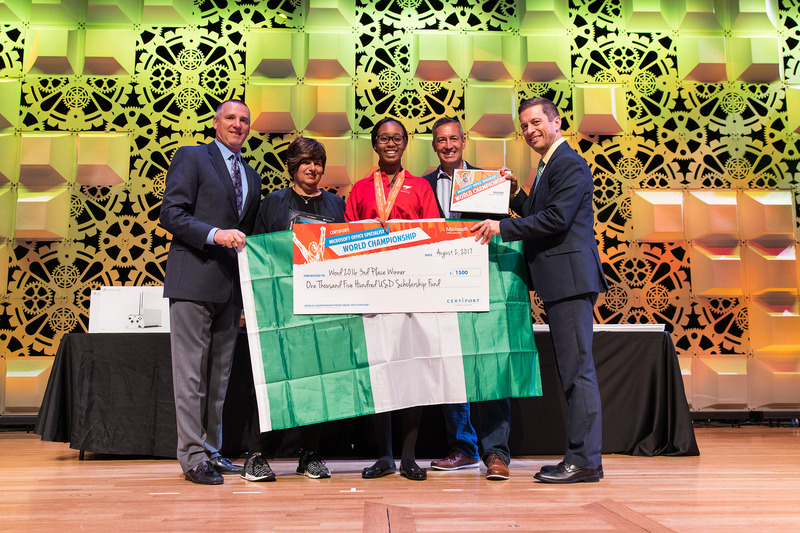 With about 560,000 competitors from 122 countries, Katherine competed in the Microsoft Office global competition. The competition tests and awards students skills in Microsoft Word, Excel and PowerPoint. Is there a competition in Word, Excel and Power point? Apparently yes! and it’s been going on for 16 years. It goes to show there are more ways these programs are used in ordinary day activities. You best maybe use Microsoft Excel for your invoices and Word for your curriculum vitae, uh? lol. There’s more, like using Excel for data computations, analysis and visualizations, etc, etc. Eta Katherine was 3rd finalist in the Microsoft Word 2016 category. Winning a cash price of $ 1,500, a medal of achievement and a winners certificate. She competed with 156 finalists in the final round of 2017 Microsoft Office Specialist World Championship in Anaheim, USA. In the concluding round, finalist participate in unique project-based tests. Demonstrating their ability to create documents, spreadsheets and presentations for the information presented in Word, Excel, and PowerPoint. How to Participate in the Microsoft Office Specialist World Championship ? The competition is opened to students aged 13 to 22. There are three Microsoft Office categories Word, Excel and Power Point of either 2016 or 2013 tracks. Students must take a qualifying Microsoft Office Specialist (MOS) certification exam from an accredited learning institution. In other cases, national or regional competitions are held to determine representatives. Selected finalists then compete in the Microsoft Office Specialist World Championship. Regional participation and availability varies by country. Further details can be obtained by contacting a local Certiport Solution Provider or MOSchampionship@pearson.com . Winners of the tracks get a cash price of $ 7,000, a medal of achievement, trophy, winners certificate and prizes from Microsoft. Second place finalist get $ 3,500, a medal of achievement and winners certificate. Here is a list of 2017 wining finalist from all categories and tracks.